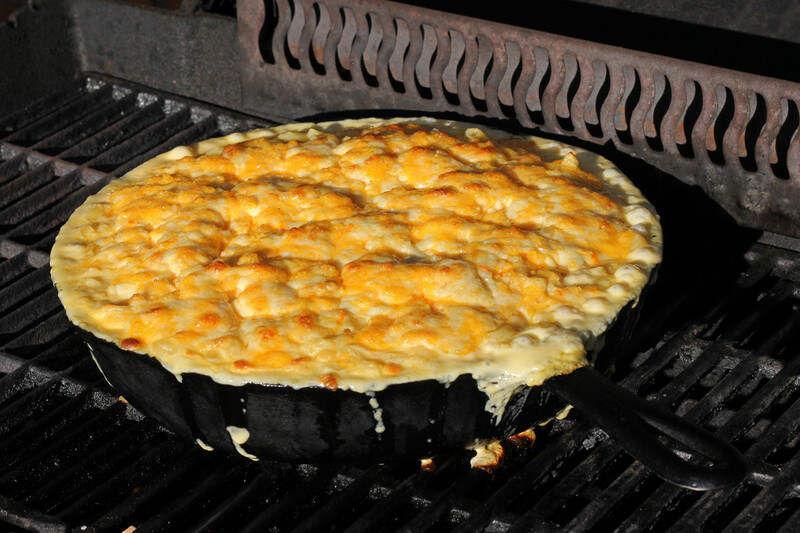 Cookistry: Mac and Cheese in a cast iron pan - cook it on your grill or in your oven! Mac and Cheese in a cast iron pan - cook it on your grill or in your oven! 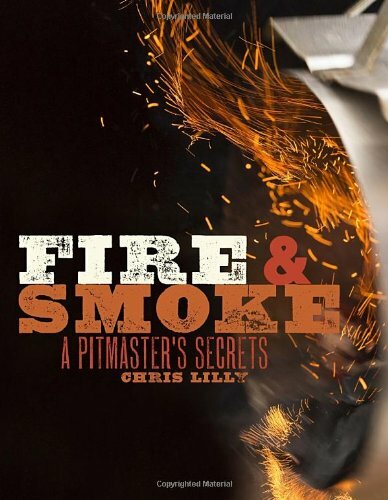 The latest book in my hands that's making the rounds in the Cook My Book group is Fire & Smoke, which is primarily about grilling and smoking. While I like grilling, the weather wasn't motivating me to cook outdoors. I made a spicy mayonnaise recipe that was pretty good, but then I set the book aside until it was almost time to give the book up. I decided I wanted to try one more recipe, and decided to make the mac and cheese recipe cooked in a cast iron skillet. I was going to make it in my oven, but the the weather convinced me that it was a much better idea to cook it outside. Good thing, too, since cleaning up drips is a lot easier on the grill than in the oven. 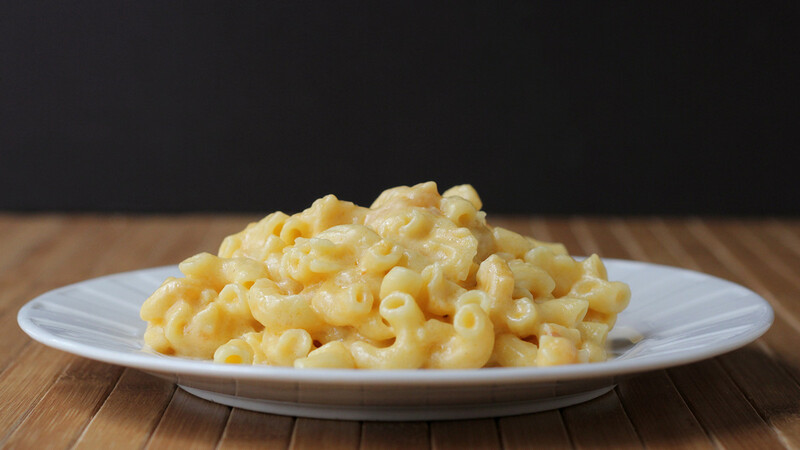 This is one of the better mac and cheese recipes I've tried in a while. Next time, I'll probably make half of the recipe, since this makes a lot and it's really rich and cheesy. And, if it's not grilling weather where you are, this would be pretty darned good baked in a casserole or even individual ramekins. Set your grill up so you can cook on indirect heat, and shoot for a temperature of 350 degrees. Have a cast iron skillet waiting. The book suggested a 10-inch-cast iron pan, but when I tried that, it was slightly overfull before I added the topping. I used my next-largest pan and it bubbled over a bit on the grill, but it wasn't terrible. Set a pot of salted water on to boil for cooking the pasta. Combine all of the topping ingredients in a medium bowl and set aside. When the water is boiling add the pasta. Cook until al dente. Turn the heat off, drain the pasta, and return the pasta to the pot. Add the butter and stir until the butter is melted. Add the cheeses and stir until the cheese is melted. If the cheese isn't melting, turn the heat on to gently re-warm the pasta and melt the cheese. Add the half-and-half and salt and stir to combine. Dollop the topping on, as evenly as you can. Put the skillet on the grill over the indirect heat and cook until the cheese is bubbling and the topping is as browned as you like. I pulled it off when it was spotty brown - a little more than what you see in the photo.